All recipes are enough for four people. 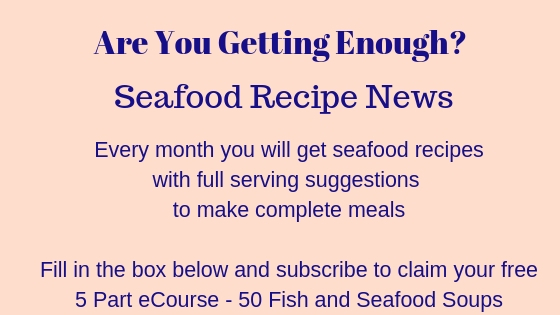 The printable shopping list and recipe prompts link is underneath the Baked White Fish recipe towards the bottom of the page. Try and serve one oily fish portion every week. This super easy to make Pizza with Pilchards is your oily fish this week. 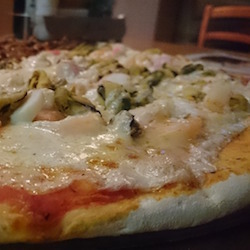 You can buy ready made pizza bases - you can also buy packets of pizza mix to make up yourself at home, if you're not super confident at bread making. Alternatively, sliced french sticks make a great base for the toppings. Serve this with coleslaw and a mixed salad. This link will take you to a recipe for a salad with honey and mustard dressing. Yummy! Your dough will take around an hour to prove - you can make it up early, put it in the refrigerator where it will prove in around eight hours. That saves you waiting too long when you get in from work. This shrimp curry is super quick to prepare. 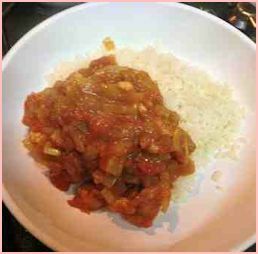 Serve with boiled rice. If you like, some chopped salad always goes well with curry - I find it helps cool the heat. Dice up tomatoes, cucumber, bell pepper and anything else you fancy - corn kernels, grated carrot. 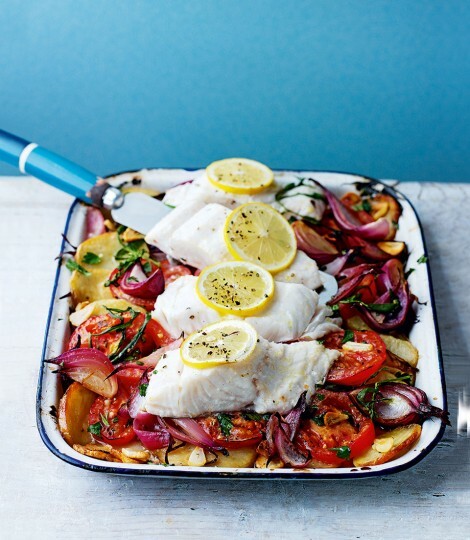 One pot baked cod - you can use any white fish, fresh or frozen. Oven set to 350F, 180C or Gas Mark 4. The potatoes are sliced and roasted for 25 minutes before you add the other ingredients. So you've got 2lbs potatoes drizzled with olive oil then after the potatoes are partly cooked, add 2 red onions sliced and 4 sliced tomatoes. A sprinkle of herbs - dill is lovely. Lay the fish on top. Bake in the oven for another 15 minutes until the fish is cooked. You can add another vegetable as a side if you like - try some broccoli. One pot dishes are great to add to your recipe book. 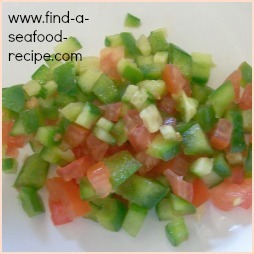 Try adding some sliced zucchini (courgette) and/or bell peppers for a change. Any fish will go well with this - white, smoked or oily.